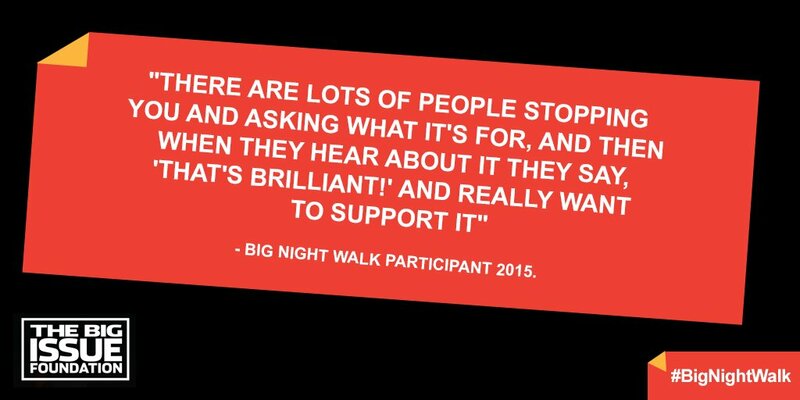 This year, as part of the charity’s Big London Night Walk, the CEO of the Big Issue Foundation Stephen Robinson encourages you to support his fundraising endeavour as he takes part in the 13-mile walk. On Friday 11th of March, Stephen will be one of many members of the public taking part in the walk which raises funds so that the foundation can reach as many people as possible in difficult times. The walk is one of many Big Issue Foundation events that support the Big Issue Magazine vendors across Britain to make personal changes and take positive life-changing steps. Despite the charity having a low-cost model; averaging at the price of just £150 for a full recovery, the model is high impact and – along with the generosity of fundraisers and donators – is successful for thousands of people every year. Stephen has been The Big Issue Foundation CEO since July 2007, and has a history of working with charities such as Shelter, as well as being the chairman of the ‘The Association of Charity Shops’ (the body that represents the majority of Charity Retailers in the UK), and a trustee of the homeless health care charity, London Pathway. Knowing how the foundation faces the challenges head-on, Stephen asks you sponsor him to help him and the foundation in more ways than one. Along with D2D’s very own Georgia taking part in The Big Walk, we’re happy to show our support by donating £109.99 to Stephen’s walk too. Don’t ask why £109.99 specifically. We’ve got a couple of quirky managing directors who couldn’t say why themselves! If you would like to sponsor Stephen you can choose to sponsor him via his fundraising page here or you can donate directly to the Big Issue Foundation by clicking the link below. Alternatively, you can read about how you, your school or youth group can take part in The Big London Night Walk here. The Big Issue Foundation is a financially independent charity that has been tackling the increasing problem of homelessness throughout the UK since 1995. The foundation offers a livelihood to those who need it and works tirelessly to help those suffering to deal with the social and financial issues causing homelessness or the problems that arise as a product of it. It doesn’t take long to lose everything and arrive on the streets and didn’t for the 2,200 individuals BIF worked with last year alone. While the Big Issue provides them with the opportunity to earn their own money, regain independence and rediscover a sense of responsibility, self-esteem and sustainability, your help is crucial in supporting the vendors who are working hard to rebuild their lives. 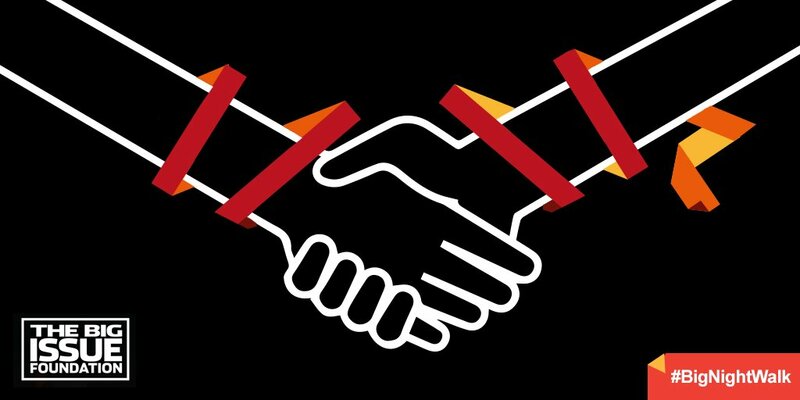 The Big Issue Foundation primarily relies on the support and donations from committed members of the general public. Whether you wish to make an ongoing or one-off donation, your help means The Big Issue Foundation can continue its work with the means to give homeless vendors a journey back into society.